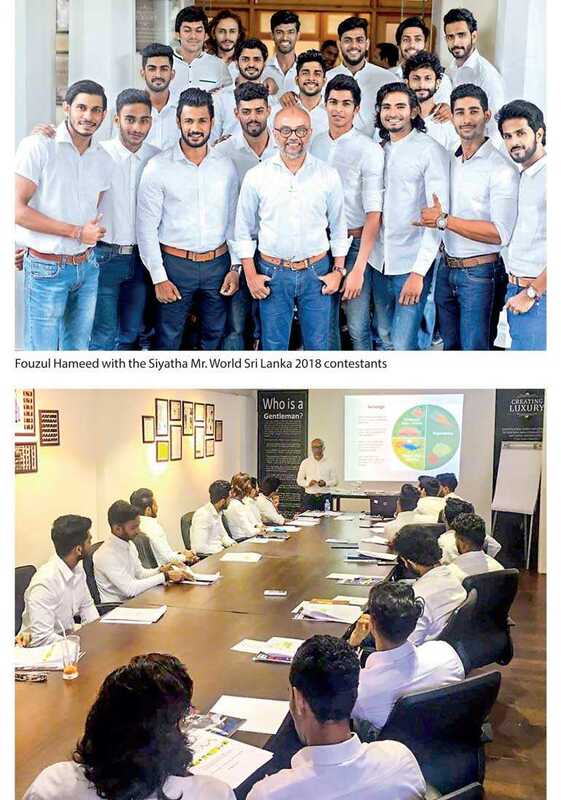 Fashion Guru, Fouzul Hameed recently shared his expertise with the contestants of the prestigious Siyatha Mr. World Sri Lanka 2018 pageant organised by Siyatha TV. The grand finale held on 5 June at the Hilton Colombo saw Manoj Suranga de Silva emerge as the winner who will represent Sri Lanka at the forthcoming Mr. World 2018 contest in Manila, Philippines. “I am proud to be associated with an event such as this, which has spanned decades. My association with world renowned pageants and the grooming industry through Hameedia’s 70 year journey ensured that each contestant in this pageant was given a thorough training in the area of personal grooming pertaining to international standards,” said fashion maestro Fouzul Hameed, Managing Director of the pre-eminent menswear store, Hameedia, a homegrown brand offering a bespoke international experience. The young contestants were all eager to learn from the best during the training session which lasted an entire day. Working alongside the young men, Hameed ensured that the session covered the scope of personal grooming, lifestyle and etiquette which benefitted the 18 contestants who were vying for the title. The contestants were also taken through the paces of personal development, career focus and goal-orientation. The informative and invaluable training spearheaded by the Fouzul Hameed Academy served as a platform to enhance the confidence levels of all contestants, while enabling them to gain entry into the eclectic world of fashion and the importance of paying close attention to the minutest details such as maintaining their clothes, shoes and even choosing the right perfume. 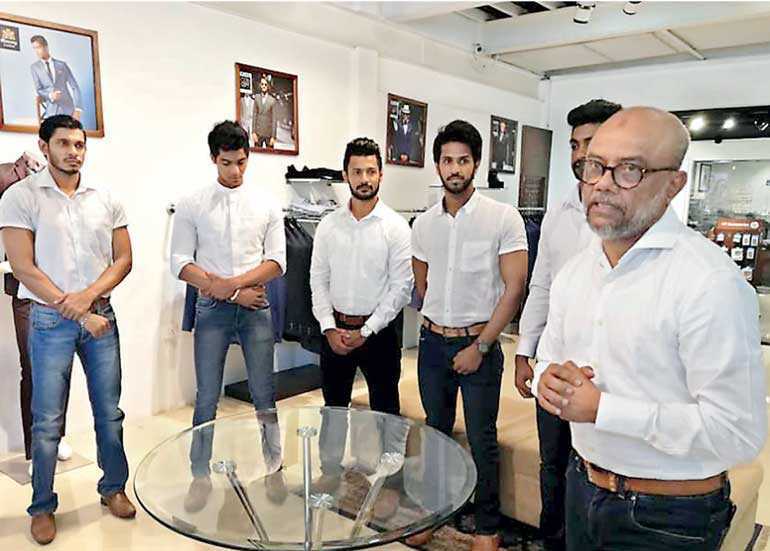 Taking Sri Lanka’s burgeoning fashion industry to another level through his pioneering venture, Fouzul Hameed is also a great exponent of healthy living, fitness and personal grooming in the local and international arenas, and pageants, thus earning himself a formidable name in the fashion circles. In a traditional sense, only one outstanding individual, Manoj Suranga de Silva, was bequeathed with the coveted title of Siyatha Mr. Sri Lanka for Mr. World 2018. However the overall grooming and comprehensive training ensured that every contestant emerged a winner in the long term by the additional knowledge and life skills gained. The selection process was open to all youth across the island with the judging criteria focused on the inherent skills of each contestant such as character, strength, passion, talent and dedication towards the rigorous training and the performance during the mini pageants, all of which were part of one of the most competitive and globally acclaimed pageants in the world. “My ultimate ambition in life is to make every man a gentleman. I have noticed that a lot of men spend a lot of money on food and leisure but neglect their personal grooming. There should be a balance in everything. The FH Academy is a place where we teach grooming, etiquette, health and fitness, how one should maintain one’s wardrobe and shoes, and all areas which contribute to a successful man,” he concluded.